And last, but NOT least, DRUMROLL PLEASE!! My sister Sasha made me an EPIC cover for my book!!!!!!!!!!!!!!!!!!!!!!!!!! So as you can see, the title of the book is "Blue Skies". I haven't decided the name for the series. It was posted on Wednesday, November 28, 2012. Yeeeeeeeeeeeessssssssssss I have an idea for the name of the series! 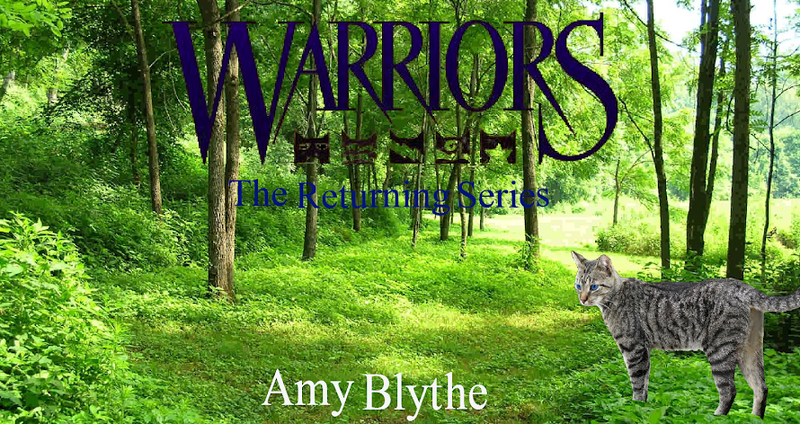 The Return of The Warrior Cats! But I thought the series was called Warriors: The Returning Series? I made you a banner... look at my diary blog. Hope you like it! wow nice book cover <3! and map is very good too all places in order its the clans by the lake right?